ABB and Nova Bus announce collaboration on electric transportation. ABB delivers OppCharge fast charger for electric hybrid buses to Bertrange, Luxembourg: ABB is a large international electrical system manufacturer, and among their extensive product line are several high quality fast charging systems. In this case they&apos;ve developed a fast charger utilizing overhead wires. Unlike the electric buses fully powered by overhead lines, this unit is installed at specific points in the route. During the time the bus is stopped anyway (to give a break to the driver), the bus is fully recharged at 150 kiloWatts. The installation location is at a train station outside Luxembourg City. Iceland has wanted to exploit its significant geothermal electricity resources to produce clean electricity to power a clean electric vehicle fleet. ABB and Iceland have teamed up to expand Iceland&apos;s fast charging infrastructure to better serve the growing electric vehicle fleet on the island. Countries like Iceland have a big incentive to switch to renewable energy due to the high cost of importing fossil fuels from elsewhere. Electricity generated from Iceland&apos;s abundant geothermal resource is a fraction the cost of imported oil or coal. Twenty years ago Iceland&apos;s goal was to be the first full-fledged Hydrogen Economy, but the underlying fuel cell technology is completely impractical for vehicles and is still 5-20 years away. Obviously Iceland has decided to go with electric vehicles to solve their fuel price problem, instead of Hydrogen Fuel Cells. The plan is to install fifteen Terra 53 dual-protocol DC Fast Charging stations along Iceland&apos;s main highway. This highway rings the island and clearly will allow drivers the freedom to drive on electricity pretty much anywhere in Iceland. A trip from Reykjavik to Vallanes, at the other end of Iceland, is about 650 kilometers, and therefore the trip would require several charging stops. ABB powers e-mobility with launch of first 150-350 kW high power charger: Competition is coming to high speed DC fast charging. Tesla&apos;s primary advantage is a ubiquitous DC fast charging network running at 120 kiloWatts or more, with credible plans to increase the power levels. The problem is that Tesla&apos;s network is proprietary and works only for Tesla&apos;s cars. 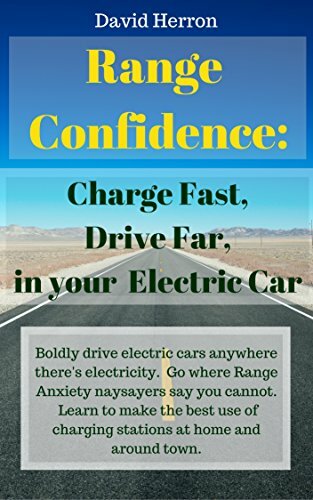 The other manufacturers use standardized charging protocols (CHAdeMO and CCS) but have been limited in the maximum charging rate. With this new charger, standards-based charging networks can now begin to offer a charging rate high enough to compete against Tesla. ABB unveils Smart Charging solution for bus depots at Busworld 2017: ABB is showing a new fast charging solution for electric buses. Meant to be installed in a bus depot, the system is designed to charge the bus overnight. It can schedule the charging of three buses, charging one after another after each bus finishes its charge cycle. The system is also upgradeable from 50 kiloWatts to 100 kiloWatts and even 150 kiloWatts.